Our team of home doctors take pride in servicing Queensland and northern New South Wales with after-hours treatment. 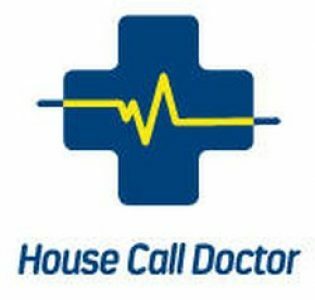 To make sure you are aware of everything you need to know before booking a home doctor, here is a quick guide to using House Call Doctor. House Call Doctor works hard to relieve pressure from local emergency departments and provides medical attention to patients in the comfort of their own home. We offer bulk billing for all Medicare and DVA card holders, so our patients do not suffer from out of pocket expenses. As well as this, we have been labelled the leading home doctor service in Queensland and have recently extended our services to northern New South Wales. The regular medical centre or GP of the patient. When you require medical attention after-hours, it can be difficult deciding whether you should be visiting an emergency department or simply consulting with a doctor. Here is a simple guide to knowing who you need to see. If the condition of the patient is life threatening, dial 000 and request for an ambulance. If the condition is severe or you are uncertain of whether you require immediate medical attention, visit your nearest emergency department. If in any instance you or a loved one are having difficulty breathing or chest pains, seek urgent medical attention with emergency services immediately. Also remember to support your local GP first and foremost. House call doctor is a company that exists primarily to benefit the fellows of the royal college of general practitioners as well as other qualified medical specialists. We aim to assist them by providing them a means to reach and service patients in the after hours time all around their local communities. For any non-life-threatening circumstances, a home doctor can provide the appropriate treatment and also update your regular GP. A chaperone for our doctors. A medical practitioner (after hours doctor). To book a home doctor, phone 13 55 66, request a booking on the House Call Doctor app or visit our website at Home doctor.